The grocery section of N&N Delancey Smoke Shop is now home to the Lower East Side's first official BitCoin dispenser. 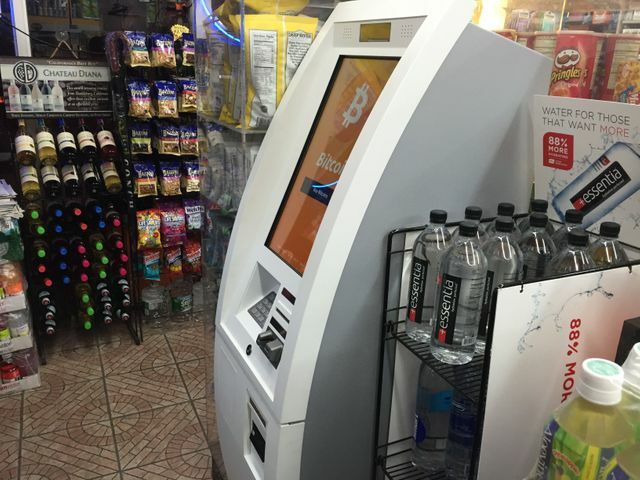 CoinSource, a leader in BitCoin ATMs (“BTM”), unveiled the first neighborhood machine this week inside 61 Delancey Street. Late night partiers keen on cryptocurrency who stumble out of the likes of Hotel Chantelle, The Box, or maybe The Delancey, can now sell some bitcoins for some cash.